Forecasts could help officials and individuals alike make important, life-saving health decisions, researchers say. The flu comes every year. Sometimes it peaks early, surprising doctors in December with a spate of fevered patients. Other times, the virus dallies until February. Some years, influenza season comes and goes with only mild illness; once in a while, it wallops with fatal force. In Massachusetts this season, for example, flu cases spiked around Christmastime, waned a little, and then took a sharp turn upward in January. But now, new ventures are aiming to eliminate such surprises. Teams of researchers are devising and testing methods to chart in advance the likely start, peak, and end of flu season. The researchers, including two groups in Boston, take an approach similar to that of weather forecasters: They combine data from the present with knowledge of past patterns to project what might happen in the future. Mining social media, Google searches, and reports of illness, they crunch this information through mathematical formulas designed to yield a glimpse of what lies ahead. So far, said Matthew Biggerstaff, a disease tracker in the influenza branch of the US Centers for Disease Control and Prevention, these forecasts are about as accurate as weather forecasts were 50 years ago — not very. “We’re definitely at the beginning,” he said. Such decisions matter because the flu kills thousands every year, especially the young and the old. 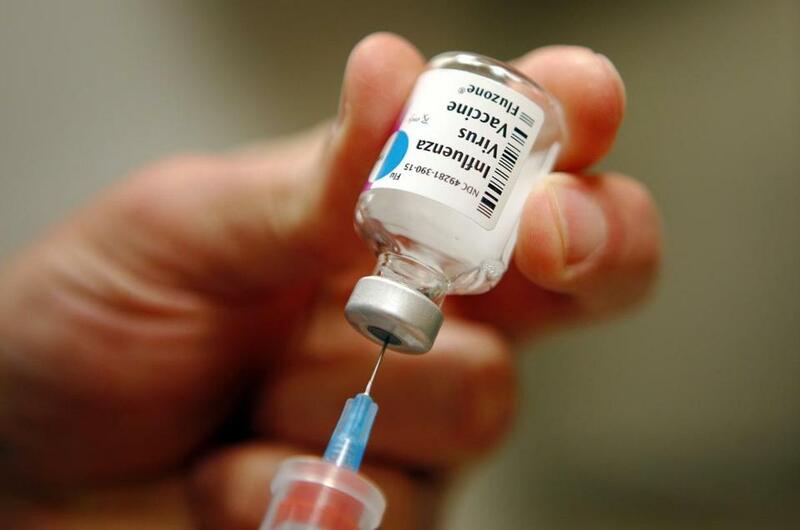 Estimates of US deaths associated with the flu have ranged from 3,000 to 49,000 a year over a 30-year period. If the CDC had a flu-season preview in hand, the agency could better time messages on use of vaccines and flu-fighting drugs. Hospitals could plan staffing for patient surges or make sure key personnel are not on vacation when it appears the epidemic will probably peak. Parents could even take flu forecasts into account in scheduling birthday parties and play dates. Today, the CDC and local health authorities track the flu’s progress based on input from thousands of “sentinel sites,” doctors’ offices and clinics around the country that file a report each time a patient seeks treatment for an “influenza-like illness” (defined as fever plus either cough or sore throat). When laboratory tests show that flu is present in a community, and when doctors are seeing a lot of influenza-like illnesses, that means the epidemic has arrived. Every Friday, the CDC provides a report of the previous week’s flu activity, as does the Massachusetts Department of Public Health. This approach has limitations. It gathers information only from people sick enough to seek medical care, leaving out those with mild or no symptoms. Influenza-like illnesses are often caused by something other than the flu. And the flu reports are at least a week old. So it is difficult to know exactly what is going on in the present, never mind what the future holds. In 2008, Google started a project that raised the possibility of up-to-the-minute flu data: Google Flu Trends counted flu-related searches to estimate how many people were sick. Google Flu Trends has since come under fire for overstating flu incidence. But it opened eyes to the potential of big data from social media, including activity on Facebook, Wikipedia, and Twitter. Vespignani, who runs the Flu Outlook project at Northeastern, taps into Twitter to find mentions of flu-like illnesses. Flu Outlook employs a formula that compares flu cases and flu-related tweets to project the disease’s future prevalence in eight nations. Vespignani hopes to refine projections by incorporating such factors as the school calendar and flight patterns. At Boston Children’s Hospital, a project that started in 2011 builds on the work at Google Flu Trends by trying to find out not just whether people are searching “fever and cough,” but whether they’re actually experiencing those symptoms. A founder of Google Flu Trends, Mark Smolinski of the Skoll Global Threats Fund, teamed with John S. Brownstein at Children’s to create Flu Near You, an unusual effort to engage the public in public health surveillance. Through social media, they invited people to fill out a form providing their month and year of birth, gender, ZIP code, and e-mail address, and whether they have received a flu shot. The project is still in its infancy. More than 100,000 have registered, but only about 10,000 report every week. Brownstein is using Flu Near You data in combination with several other sources, including Google searches and data from a provider of electronic medical records, to yield the Healthmap Flucast, looking two weeks into the future. A spinoff of Flu Near You, called GoViral, takes the concept of public participation a step further by actually diagnosing illness. Volunteers receive a kit with sample collection materials. When they feel ill, they take a nasal swab and also spit into a tube, mailing the samples to a laboratory that tests for 20 different viruses. Now in the second year of a three-year National Science Foundation grant, GoViral has signed up about 300 people, of whom 70 returned both samples, said Rumi Chunara, assistant professor of computer science and engineering at New York University, who started the project while she was at Children’s. Last year, the CDC held a contest for flu forecasters. This year, CDC is repeating the contest. Last year’s winner, Dr. Jeffrey Shaman and his team at Columbia University, combined Google Flu Trends with CDC data on influenza-like illnesses to come up with a forecast that updates automatically. The result is not a single prediction, but a probability, like a meteorologist forecasting an 80 percent chance of rain. Shaman posts forecasts online for every state and dozens of major cities. “I get e-mails from people in public health agencies telling me they’re looking at forecasts,” he said. But at least one physician who tracks the flu closely remains skeptical. Dr. Ednan K. Bajwa, director of the medical intensive care unit at Massachusetts General Hospital, said the main thing he needs to know is when the flu season is in full swing and when it has started to abate — information he already gleans from his hospital’s laboratory. “I look at the CDC website every day, probably to just get a sense of what to expect for coming weeks,” Bajwa said. But better forecasts for Boston? “I don’t think it would change what we do,” he said.